The Smith family has been in business for over 150 years, originally starting out as coal merchants. Victorian Blackpool had an even more extensive tramway network than it does today; the more familiar of the landmarks from that time is the Old Tramsheds, formerly known as the Marton Depot. 1901 – The Marton Depot was built to accommodate 50 trams. It was used for central routes but declined in use after the closure in 1936 of the Layton and Central Drive sections. History was made as the depot closed for tram use between 1939 and 1944 due to the war, and accommodated aircraft of the Vickers Aircraft Company. 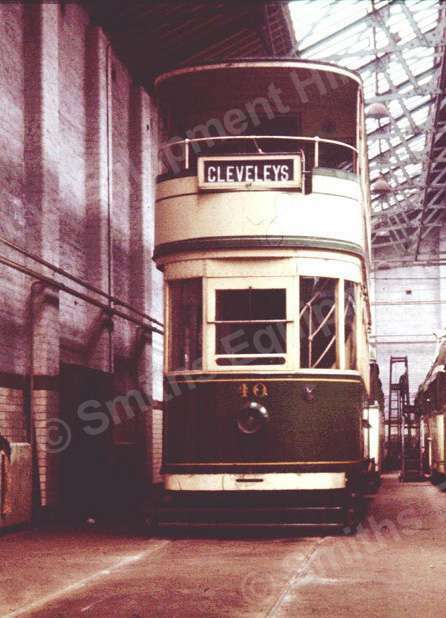 On 11th March 1963 the last tram car left the depot before being closed. Shortly after – the front half of the depot was demolished and a petrol station built in its place after the site was acquired by BP. The – still intact – rear section was taken over by the long established Smith family in 1963. 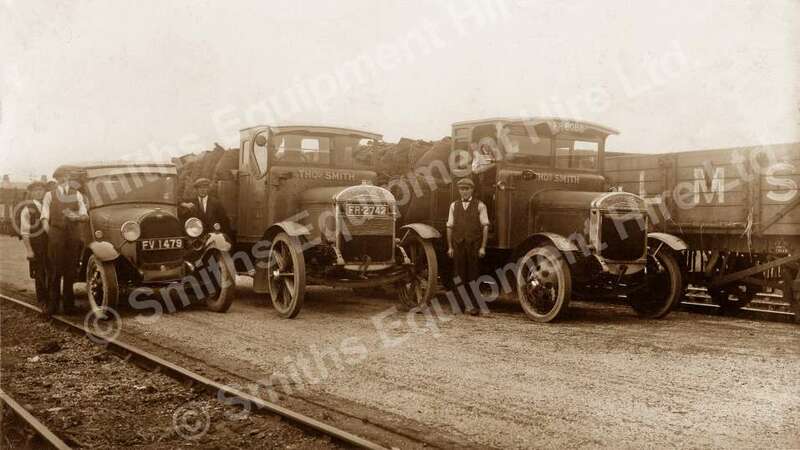 In 1971, Smiths Equipment Hire became a separate registered company having originally developed out of the family’s long-established coal merchant and haulage operation; Birchfield Haulage Ltd. Since then, Smiths Equipment Hire has gone from strength to strength and expanded across the Northwest of England as one of the biggest Independent Hire companies in the region. In 1998, Smiths opened a depot in Preston and later, in 2001 opened a sixth depot in Blackburn. Directors David and Thomas stated that “we opened the two latter depots because customers wanted us to cover a larger area and serve them better when they were working further away from Blackpool. These represented our first moves in opening up the north west of England to become a regional, rather than a local, player.”However, in 2004, the Preston depot was moved from its industrial estate roots to a new 6,000² foot facility along the main A6 road without significant investment in new equipment. The new prominent location impacted on business greatly and turnover increased dramatically. A new 10,000² foot depot in Bolton was opened in 2006; the furthest location from its home base at the Old Tramsheds, Blackpool. The massive size of the depot lot helps to provide plant and access equipment to the Blackburn and Preston locations. Due to the high amount of equipment stored at the Old Tramsheds by 2007, it was necessary to finally separate the plant and tool hire facilities. Even though the Smith brothers had bought an old ATS tyre depot, they concentrated on getting the Bolton location up and running first. August 2007, the Clifton Road, Blackpool depot was opened. 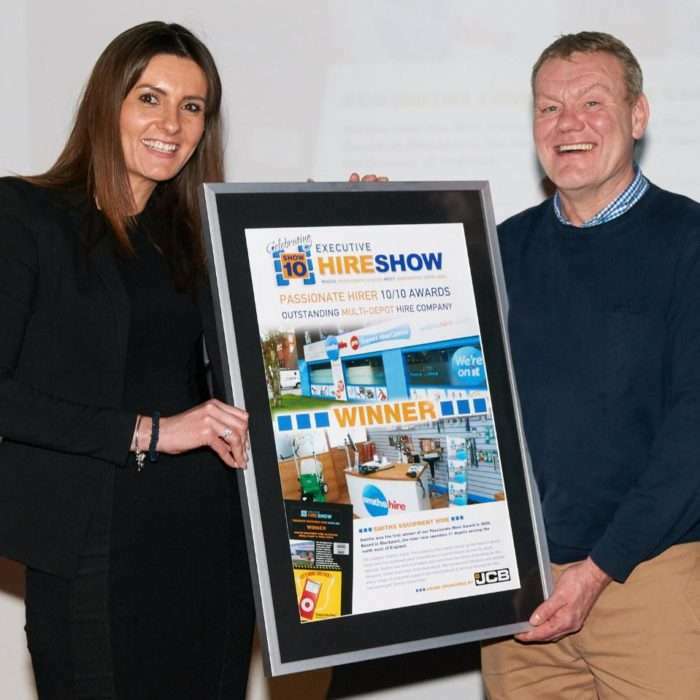 As a result of that move, turnover grew 20% overnight.In 2008, Smiths Equipment Hire was awarded Passionate Independent Hirer 2008 at the Executive Hire Show for outstanding service to the Hire profession. 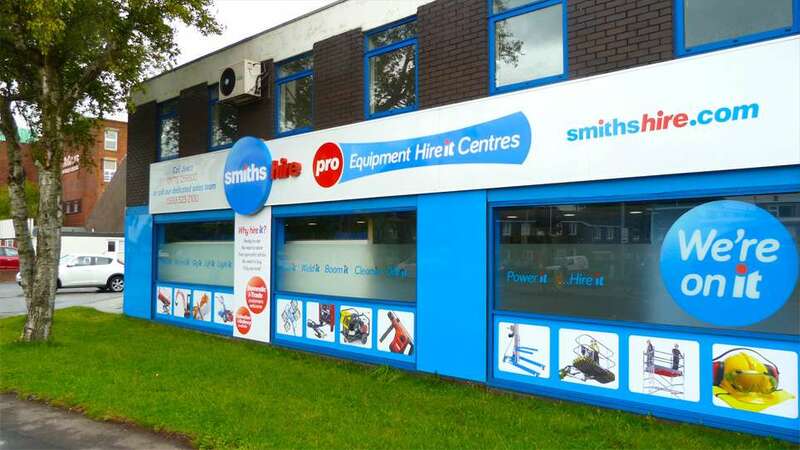 Late 2010 saw a further expansion when Smiths opened a training services centre to accompany the Preston branch. The PASMA accredited services allow Smiths to provide dedicated equipment training to companies across the Northwest of England. 2010 also saw Smiths branching out in to Greater Manchester, where the old Tool Hire Shop became the newest Smiths Equipment Hire depot. Found along the main A635 road in Openshaw, this location is prime for passing trade and the site’s 8,000² foot space and extensive yard allow for a huge range of equipment to be available. In 2011, Smiths Equipment Hire became the U.K.’s first independant hire company to achieve the HAE SafeHire Standard. The goal of this standard is to prove that hire businesses are competent in the area of health, safety, environment and quality. In 2014 Smiths Equipment Hire committed to a full integrated re-brand involving wagon livery, machinery and depot signage, a modern and brave new look appealing to a younger generation of customer. In 2016 saw the opening of a ‘flagship’ new depot in Liverpool on Derby Road. This new depot has been transformed into the latest design style incorporating our new brand and simpler ‘kerb appeal’ graphical signage. David and Thomas Smith said – this is very exciting time for our company, we see Liverpool as very important location, allowing us to tap into local work in and around Liverpool and the surrounding areas. 2016 also saw Smiths Hire win the national ‘Passionate Hire’ award ‘Best of the Best’ for the last ten years. This prestigious industry award was based on secret shop visits to depots, a full review of brochure/literature and this new website you are viewing as we speak. Smiths Equipment Hire is immensely proud of all its accomplishments as they validate the key principles behind the company, watch this space! 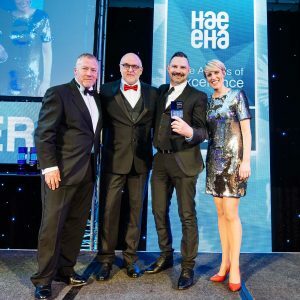 2017 – Best Website & Best Digital Catalogue at the HAE Awards. We are ecstatic to announce that we left the HAE Awards 2017 with the awards for Best Website and Best Electronic Catalogue! The ceremony, hosted by BBC Business Correspondent, Steph McGovern, was a brilliant night to say the least. With over 300 in attendance, and over 20 other names within the industry up for awards, the room was filled with great companies alike, and we at Smiths Hire are thrilled to have been one of the winning companies on the night. Our sites are designed specifically for customers who want to access product and service information while they are on the move via their mobile phone. We feel like these two awards accurately reflect Smiths Hire moving forward digitally as a company. We are in a digital era, and it is important that we provide our product and services to our customers at any time, wherever they are. 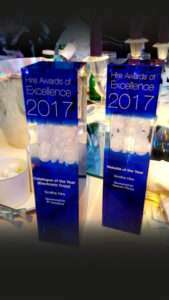 We would like to thank HAE for these two awards and recognising our commitment to digital technology. 2016 saw Smiths Hire win the “Best of the Best” Award from Executive Hire News, and this year has been even better for us. Here’s to 2018, lets see if we can win again.